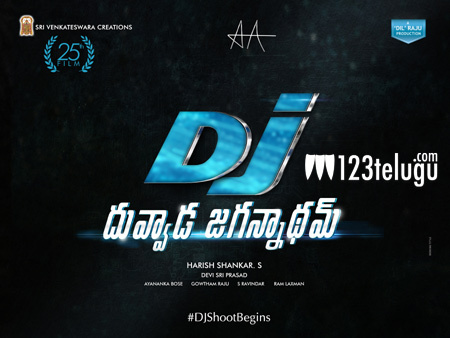 Stylish Star Allu Arjun and Harish Shankar are going to work together for DJ – Duvva Jagannadham. The movie is expected to be a hilarious entertainer and regular shooting will begin in mid October, according to the latest updates being heard. Bunny will be seen in a new look in this movie and ground work is underway for the shoot. Pooja Hegde is reportedly going to be seen as the heroine in this big budget film. Dil Raju is producing the film on SVC banner and Devi Sri Prasad is the music director.